SEOUL, Apr. 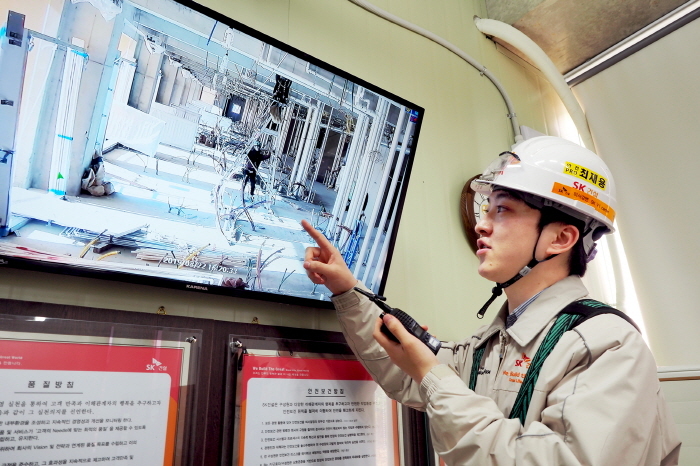 4 (Korea Bizwire) — SK Engineering & Construction Co. has introduced smart closed-circuit television (CCTV) and other high-tech devices at construction sites to prevent accidents. 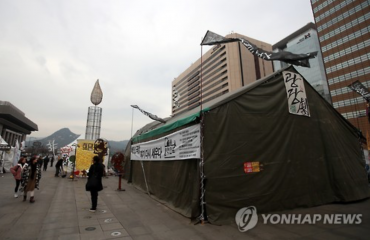 The company said that it introduced CCTV systems and wearable cameras at a construction site in Hanam, Gyeonggi Province on March 12. The CCTV camera and its enclosure is 1 meter in height, 0.8 meter in length, and weighs about 15 kilograms, and can be zoomed in or out and turned sideways using a smartphone application. The camera system is also equipped with speakers, which allows safety managers or supervisors to speak directly to the screen when workers at the construction site are exposed to danger or show abnormal behavior. Wearable cameras have also been attached to safety helmets to send real-time footage of the construction site to situation rooms in the local office as well as the headquarters to expedite communication between workers and managers. 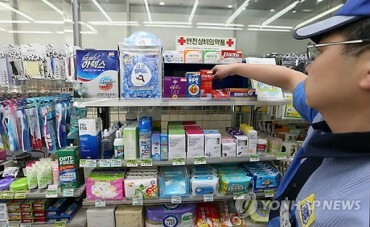 On Tuesday, SK E&C signed an agreement with ADT Caps Co., a South Korean security company, as part of its plan to introduce the new safety management system to other construction sites in the country. 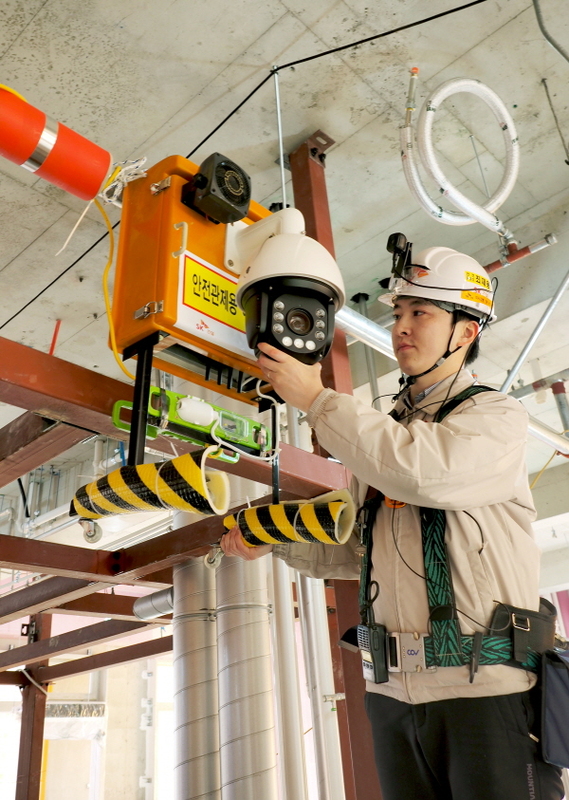 “The new CCTV system and other high-tech devices will allow us to better manage safety at construction sites,” said Chae Su-cheol, head of construction SHE(Safety, Health, Environment) department at SK E&C.